Cannon Law Firm is dedicated to Fierce Advocacy for those facing Criminal Prosecution. It is crucial you contact an experienced Oklahoma Criminal Defense Attorney, if you have been arrested for any criminal allegation. 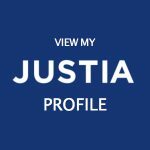 This page is an overview of how to get out of jail after arrest in Oklahoma. Specifically, hiring a bondsman or posting bail in Oklahoma. Can I Bond out of Jail in Oklahoma after Arrest? Although every misdemeanor and felony crime in Oklahoma is an arrestable offense, they also carry bond, except very serious violent charges. An offense that carries bond means you can get out of jail, while your case is pending, if you or a bondsman post the bond. You, your family, or a loved one can post your bond directly through the Court, i.e. go to the jail or courthouse and post the cash for your bond with a cashier’s check or cash. The bond will be returned or exonerated at the conclusion of the case, if the person appears for his/her court dates, whether convicted or not. It is important you keep copies of the receipt, if you post a cash bond. The majority of criminal cases are resolved in three to six months, with exceptions, which means the money you gave to the court or jail will be returned in that same time frame. However, due to a variety of reasons, the majority of those facing criminal charges hire a bail bondman or cannot afford the total cash bond. Can I Hire a Bail Bondsman? Typically, a bail bondsman requires you to pay them ten-percent (10%) of the total bail prior to the bondsman going through the process described in the previous section. The bail bondsman will guarantee you or your loved one’s appearance at all their court appearance. If you or your loved one fail to appear at court, the bail bondsman will be liable for the total amount of bail (they may seek to recover the total amount from you). The bail bondsman will keep the percentage of bail you pay them at the conclusion of the case regardless of the result. As opposed to the total amount being returned to you by the court/jail, if you post the bond. Some people arrested are released on conditional bond, which means they do not have to pay cash to the court or a bail bondman conditioned upon abiding by or performing a number of conditions. Additionally, in some counties or circumstances individuals are released for non-violent offenses on their own recognizance, an O.R. Bond, which does not require any money being presented towards the bond. Being arrested is a scary experience, but staying in jail during your criminal case will hurt your chances for a favorable outcome on your criminal case in Oklahoma. Regardless of how you or your loved one gets out of jail during your criminal case, it is an invaluable tool for you and your criminal defense attorney. Experience matters when your freedom or the freedom of a loved one is on the line. It is important to know the attorney you hire is a Fierce Advocate and has experience defending criminal cases. John Cannon, owner of Cannon Law Firm, PLLC, will personally work along-side you during the entire process, including meeting with you in jail until you are released. 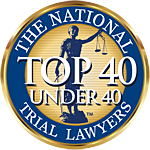 John has been honored by being identified as a Top 40 under 40 in Criminal Defense by the National Trial Lawyers Association. John has the experience you need and will bring it to bear in your case. Additionally, he has an outstanding record of reaching the best possible outcome for hundreds of clients accused of the wide variety of criminal charges, evidenced by receiving the highest possible AVVO rating – 10 (superb). Contact Cannon Law Firm to protect your freedom and Fight your Case. You may send an email inquiry, complete the contact form on our website, or call at 405-888-7369.